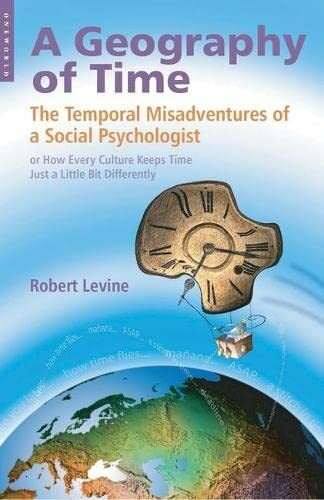 In this engaging and humorous book, eminent social psychologist Robert Levine explores a dimension of our experience that we take for granted - our experience of time. Taking us on an enchanting tour through the ages and around the world, we travel to Brazil, where to be three hours late is perfectly acceptable, and to Japan, where he finds a sense of the long-term that is unheard of in the West, as well as to remote places in the world where 'nature time', the rhythms of the sun and the seasons, is the only time to live by. From sundials of ancient Greece to the origins of 'clock time' in the industrial Revolution, Levine asks, how do we use our time? Are we ruled by the clock? What does this do to our cities, our bodies? 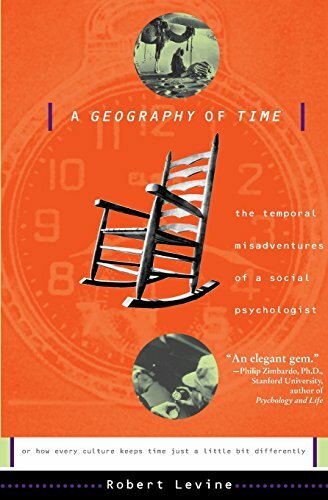 Perhaps, he argues, time as a human construct has come to definite and constrain cultures, while instead we ought to function 'multitemporally,' each of us charting our own geography of time. On time, out of time, time out, time is money--if our vernacular is any indication, the concept of time has certainly infiltrated American culture. Does everybody in the world share the same perception of time? In A Geography of Time, psychologist Robert Levine puts time to the test by sending teams of researchers all over the world to measure everything from the average walking speed to the time it takes to buy a stamp at the post office. Levine scatters his findings among engaging accounts of his own encounters with the various perceptions of time in different cultures. 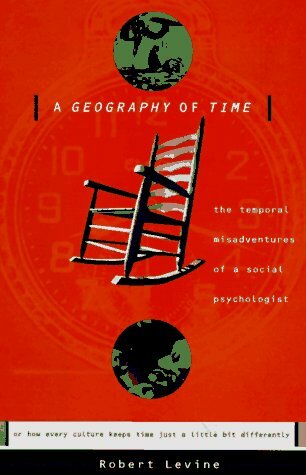 From the history of clocks to how people tell time today, A Geography of Time is jam-packed with "timely" information. Robert Levine, Ph.D., is professor in the psychology department at California State University, Fresno, where he has received many awards for his teaching and research. He has been a visiting professor at Universidade Federal Fluminense in Niteroi, Brazil, at Sapporo Medical University in Japan, and at Stockholm University in Sweden. He has published articles in Psychology Today, Discover, and American Scientist and has appeared on ABC’s World News Tonight, Dateline, NBC, CNN, The Discovery Channel, and All Things Considered.